For some marketers social media and lead generation seem like an oxymoron. Why? Because social media tends to be oriented to personal use and lead generation tends to focus on B2B businesses. The reality is that employees’ personal knowledge and experience influences their business decisions. Employees use social media to gain insights and research B2B purchases. This is why many B2B buyers tend to be 70% of the way through the purchase process before suppliers realize it. Conversely, when making major purchases, consumers act more like businesses in terms of how much research they do and the amount of time they spend making up their minds. 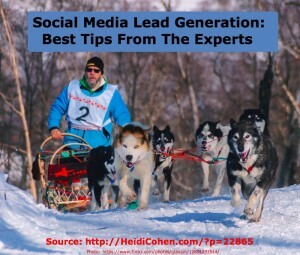 Here’s what 22 social media experts say is the best way to use social media to generate leads. Slideshare is my favorite platform for using high performing content to capture B2B leads using the Pro account. In my previous company, at Alterian, we had the highest success rate with European countries which was an early success in social marketing in Europe. This will always vary based on the goals of the marketer and campaign, and who the target audience is, but two good starting places are Pinterest for B2C marketing and LinkedIn for B2B marketing. Pinterest is a place where people share what they love, so product promotions fit in well. And LinkedIn is a media company targeting business professionals, with a lot of tools marketers can use for lead gen. In B2B, my favorite approach is organic social sharing on LinkedIn through status updates from employee brand ambassadors combined with sponsored updates through the LinkedIn company page. Recently, one of our client’s webinars had 340 registrations, half of which were new contacts using this approach. Social media is not the best platform to generate leads. It is the best platform to engage with your future customers and to make them aware of your brand. If you can find a way to provide value and build trust, then you can earn the right to develop them into sales leads. Social media sites provide a platform where businesses, either B2B or B2C, can interact with prospects, customers, fans and the public in either real or lapsed time. Through this engagement, companies can build deeper relationships with prospects as well as offer sales related information that ultimately leads to sales. While LinkedIn and SlideShare tend to be the core B2B social media lead generation platforms, don’t underestimate other sites, including Facebook. This is particularly true for companies that operate outside of the US where sites like Facebook may be the only social media option. As social media platforms continue to evolve, it’s important for businesses to support social media efforts with advertising and related marketing activities and budget. Incorporate content marketing for lead generation to ensure that you’re able to convert prospects into sales. Additionally, don’t underestimate the power of using a variety of social media platforms to extend the reach of your content marketing distribution. 6. Jeffrey L. Cohen, Ball State University and Social Media B2B, Co-author of The B2B Social Media Book, @JeffreyLCohen. The best way to use social media to generate leads is to create a business blog that answers prospects’ questions and solves customers’ problems. These blog posts need to relate to longer form content, like ebooks and webinars, so visitors can click through to a lead form and provide their contact information in exchange for the asset. It is better to focus your lead generation program on a platform that you own, like a blog, and use social media channels to expand your reach, grow your audience and amplify your content. In our business (web design) people just don’t need us that often. It’s usually once every 3-5 years. And it’s really hard to keep in touch with thousands of people. That’s where social comes in. After a meeting or speaking engagement, I try to connect with people on at least one social network (ideally, two). Next I fill my social streams with a steady mix of our own content, marketing tips and industry news. The goal is to stay visible with lots of people over a long period of time. It works. Whenever I get a lead from social media, I take a screenshot of it. I keep them in a folder so I can show the doubters of the world. Many of these leads mention how they were grateful for the advice we shared over the years. 8. Mike Delgado, Experian-North America, @MikeDelgado. B2B companies need to spend time building communities on LinkedIn – and getting their employees involved in sharing important posts. I’ve been very impressed with the reach and engagement on LinkedIn, and the ability to share custom content to targeted followers. If you’re a B2B marketer, take a close look at the opportunities to reach your target audiences either organically through your company pages and groups – or through paid efforts (e.g. partner emails, ads, and sponsored posts, etc.). Step one: really think about, and dig into what your business is about, what you’re trying to achieve, and who your customers are. Step two: find out where they’re playing, and what hidden needs they might have. Step three: go and be generous, and give them what they need. Adopt a “pay it forward” mentality, and don’t stop and evaluate each interaction for its potential value to you. This is a whole different approach to lead generation; a whole different process than the traditional process of identifying leads, and running them through a filter. For our own organization, Twitter has been a great place to connect with people who share the passion of what we do, and it’s in that environment that I’ve adopted an ethos of generosity. Many of those relationships made there become deepened with in-person meetings, and ultimately, have led to hundreds of thousands of dollars of business. Building an event (webinar, live event, meet-up) or information product (webinar, white paper) and publicizing it to an existing social audience, or through social advertising to a relevant target audience, to pull in the contact information you need to follow up. Examples would be every webinar or white paper you see from software companies like Salesforce or HubSpot or ExactTarget and so on. Give them your email address and some cursory job/company info and you get access to the content. They have your contact information and can follow up if you fit what they’re targeting. For the most part, I don’t believe you can “use social media to generate leads”. Instead, what I have seen work is to use content as a means of engaging users, driving leads. In my experience, social media is simply a channel to bring users to that content and allow them to engage. There are exceptions, of course. For example, when a customer is already familiar with your brand and you use social media to promote deals, for example. If you’re posting last-minute travel deals on your Twitter or Facebook feed, you can expect that the people who follow you will be leads. But, I view that more as transactional, than lead gen. The best platforms to use social media to generate leads are Twitter and Slideshare. Take advantage of Twitter’s lead-gen email cards advertisements and Slideshare’s lead-collection ads to directly drive leads from each platform. Start to participate within Social properties where your target audience is. You then will develop trust and a relationships. Leads will find you. As an example, during a recent #SocialChat ( TwitterChat I co-host) we were approached to have Elissa Shevinsky from WeNeedGlimpse as a guest, on a suggest topic of Social and Privacy. After reviewing her credentials, we agreed. During the Twitterchat, Elissa answered our questions and that of participants on the subject and where appropriate referenced tool her company had recently released that addressed some of the issues we brought up. 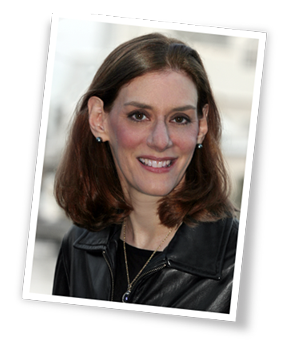 Plus she participate in the chat on the brands Twitter handle (@WeNeedGlimpse). She was able increase the number of followers plus I suspect, generate some sign-ups (aka leads). In terms of generating leads, I have to shine the light on LinkedIn. Often thought of as just a job networking site, there is so much more potential to be found on LinkedIn. You can publish your content to a targeted audience segment, participate in group discussions to grow your reputation, share information and ideas about a specific industry, make great connections, and more. 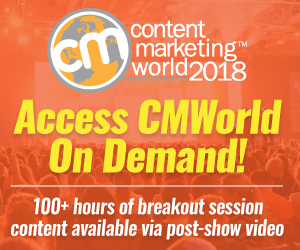 If you’re a B2B business with a strong niche and powerful content, this is a great place to start for lead generation. It really works. This boils down to three things: people, process, and technology. If you are serious about using social for lead gen, then you need to have budget and headcount dedicated to content and social. 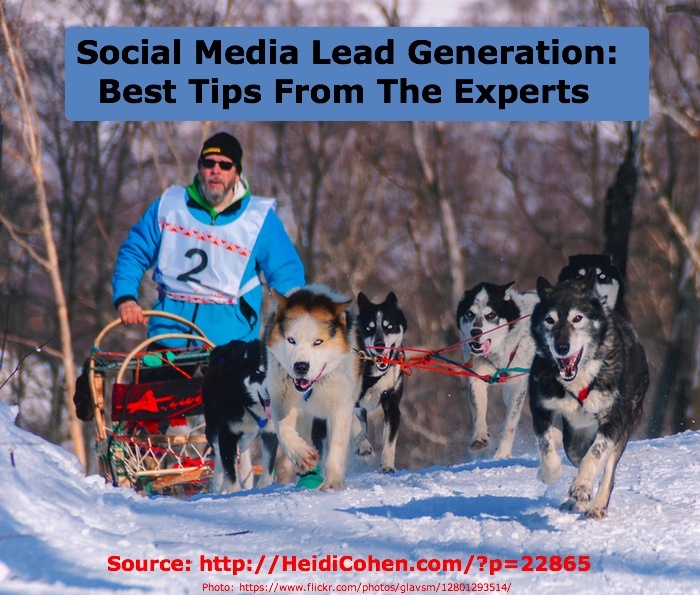 Content fuels social for lead gen, without the right content you will not get results. So start by creating content that answers your prospects question along their buyer journey from early to late stage, then target that messaging both organically and paid within the various social platforms (preferably LinkedIn : ). The next step is to track, respond, and scale your efforts. For this you will need some sort of marketing automation software. Once these leads come in you will need to score them, pass along the sales ready ones, and move the others to an appropriate nurture track. Keep in mind that leads coming in from social are likely not ready to buy since they are probably in their research stage at the top of the funnel. It’s vital to have a process in place to keep the lines of communication open with these prospects via nurturing campaigns. There are a lot of folks out there that are overcomplicating this process. At the end of the day you really only need three things: content, native advertising, and marketing automation. This is the best way to generate leads from social. There are some obvious – and true – answers to this question. We’ve had a lot of success driving leads to our content by using targeted promoted tweets. Ads on social sites like LinkedIn, SlideShare and even Facebook can be great tools if targeted to the right users and pointing to some independently valuable content, rather than pushing product. But one of our best social lead drivers is actually organic. We host a LinkedIn group called Content Marketing Academy, which has almost 10,000 members all interested specifically in content marketing. The group has been successful because our community manager Andrew Coate established guidelines to keep discussions lively, relevant and free of spam. For one, you can’t just post a blog post or whitepaper in the discussions, but instead have to use the promotions section for that. There’s even a limit on when you can link to content outside the group when responding to discussions (it has to be super relevant to the topic and not self-promotional). With these rules in place, you’d think it be hard to generate actual leads. But by keeping the community active many interested people naturally find us and seek out our content, both gated and ungated. The result is not only leads, but leads that have already engaged with us and seen our leadership in the content marketing space. Generating leads via social is tricky business. Why? People are generally not engaged in social to be sold something. They are there to learn, network with peers, engage in discussions and share their views. In the B2B/manufacturing space, LinkedIn has been the best producer of leads. It makes sense, since this is where professionals with buying power tend to go. Most leads are generated through genuine group participation. By genuine – I mean making a commitment to participate and listen in a group over the long term. This means offering, helpful commentary and advice. By establishing your expertise in these groups, you can build trust – the core value of all good relationships. There’s absolutely no room for snake oil pushers here. Further, for larger organizations, LinkedIn’s new Showcase Pages allow marketers to develop brand specific communities. This creates outstanding opportunities for targeted marketing. If people are engaging with the narrowly-focused content on these pages, with a little bit of TLC, the leads are sure to follow. For Marketo, Facebook and LinkedIn are our highest performing social lead generation channels. We love Facebook because they have impressive ad targeting capabilities and can get very granular to ensure we are reaching the right audience. LinkedIn is also highly targeted. Plus, since LinkedIn is a professional network, you can target based on demographic criteria like job title, location, company size, etc, which for many B2B companies are the primary pieces of information they seek to determine lead fit. The best way to generate leads is to utilize sponsored posts on the relevant social media platform where your customers are utilizing best practices for that platform. Social networks are in business and want you to be successful in your advertising. Assuming that you have a conversion system in place, ads are a completely trackable form of paid media that can ensure you can both measure leads generated and sales converted. Sure, you can obtain leads organically, but considering that social media was made for people and not businesses – and you want to generate leads – I really do think the paid approach will end up being the most effective method for most businesses today. I believe the best platform for lead generation is your owned platform: your website or blog. Showcase your value via social channels to build influence with your network and drive targeted traffic back to your site. On your site, have ONE primary and compelling “value offer” that your visitors can opt-in for. Minimize your required fields to no more than a first name and email address. My colleagues and I have used Twitter and targeted Linked In groups to promote B-to-B visibility and credibility and interest for the educational and research programs of our nonprofit organization HealthCare Chaplaincy Network. Also, March 31-April 4, 2014, we ran the first global research conference on spiritual care in healthcare attended by 325 health care professionals in-person or via webcast. Participants were from throughout the US, the UK, Australia, Belgium, India, Ireland, Canada, Kenya, and Namibia. We established an intensive Twitterchat with the hashtag #HCCNcon immediately before the conference and through the conference generating 2,442 total tweets by 123 participants, generating 1.5 million impressions. The “best platform” for lead generation depends on the type of business you operate, what you sell, and how you define your target clients. Each social network has different features. If you’re an online retailer, especially targeting women. Pinterest offers an unprecedented click-through-rate, from social network through to final sale, and is one of the best social networks to improve social referral traffic. For B2B organizations, LinkedIn is to offer content to business professionals and high-level executives. LinkedIn is the new “business card” and an opportunity for business leaders to connect and reaffirm their real-life relationships. Google+ is the best social network for a male-focused, tech-oriented organization. Twitter is the perfect place to find news junkies, influencers and individuals who share a high volume of content. Twitter is where news happens 24/7. Twitter is every business’s early-warning system for issues, and customer, reputation management. With more than 1.3 Billion users, Facebook, is a great social network to cast a wide net and reach a wide audience. But your brand must be prepared to support your lead-gen activities with advertising dollars. Instagram is a great to attract the young, mobile, on-the-move audience. Instagram is good for highly visual brands looking to connect with millennials. To use social media lead generation, you must assess your target audience and the social media platforms they use. Social media isn’t a one-size fits all strategy. Additionally, incorporate social media into your content marketing distribution plans. The objective is to expand your reach both directly and through your followers’ shares. Since social media and customers continue to evolve, it’s critical that you keep testing what works best for your business. Based on your results, adapt your social media strategy to maximize your effectiveness. What has your experience been using social media to generate leads? Note: All book links are affiliates. Tags Alan Knecht, Andy Crestodina, Arnie Kuenn, Barry Graubart, Bernie Borges, Connie Benson, Dave Kerpen, David Berkowitz, Dayna Rothman, Deb Weinstein, Heidi Cohen, Jason Falls, Jason Miller, Jeffrey L. Cohen, Jesse Noyes, Jim Siegel, lead generation, Michael Brenner, Mike Delgado, Neal Schaffer, Phil Paranicas, Ric Dragon. Bookmark the permalink. Awesome lead generation advice! Bookmarking this. Nice compilation of tips, Heidi! Thanks for putting this together.